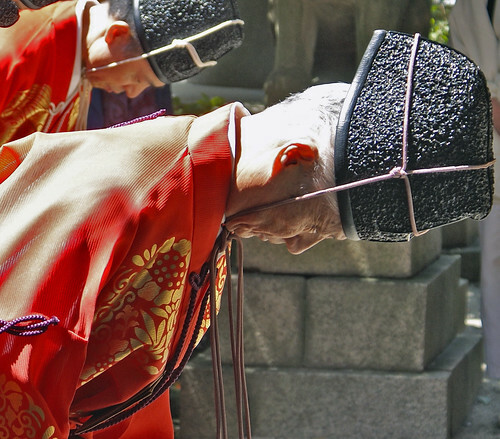 Japanners speelden zo'n tien eeuwen voor onze tijdrekening "Kemari", een balspel waarbij de deelnemers met de wreef van de voet tegen een kleine lederen bal trapten. 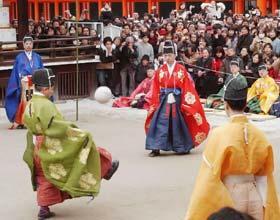 The objective of kemari is to keep the ball in the air while kicking among players. 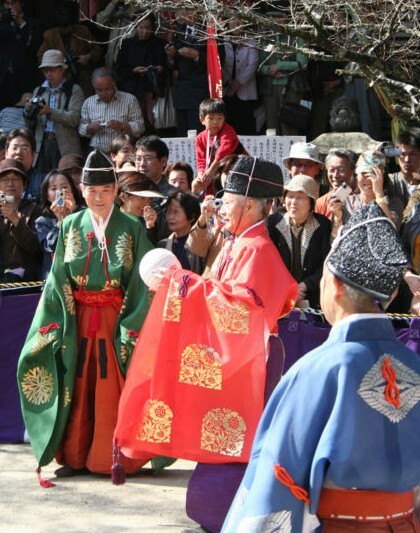 Kemari was enjoyed mostly by the male aristocracy and was played in a square area defined by trees representing each of the four seasons. 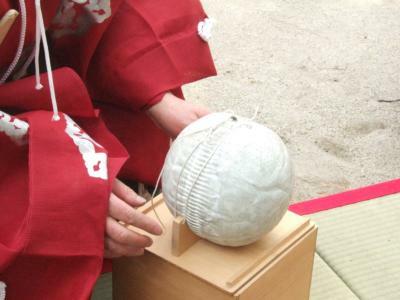 The ball, known as a "Mari" is made of deerskin with the hair facing inside and the hide on the outside. The ball is stuffed with barley grains to give it shape. When the hide has set in this shape, the grains are removed from the ball, and it is then sewn together using the skin of a horse. 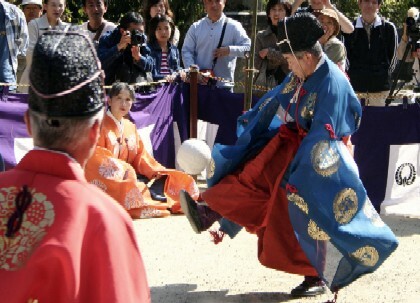 The one who kicks the ball is called a "Mariashi". Kemari costumes of "Mari-suikan" jackets, "Eboshi" caps, and "Mari-gutsu" shoes. Exquisitely performance by kicking the white ball high into the air using only their right feet while shouting the game's unique calls of "Ari," "Ya" and "Oh."